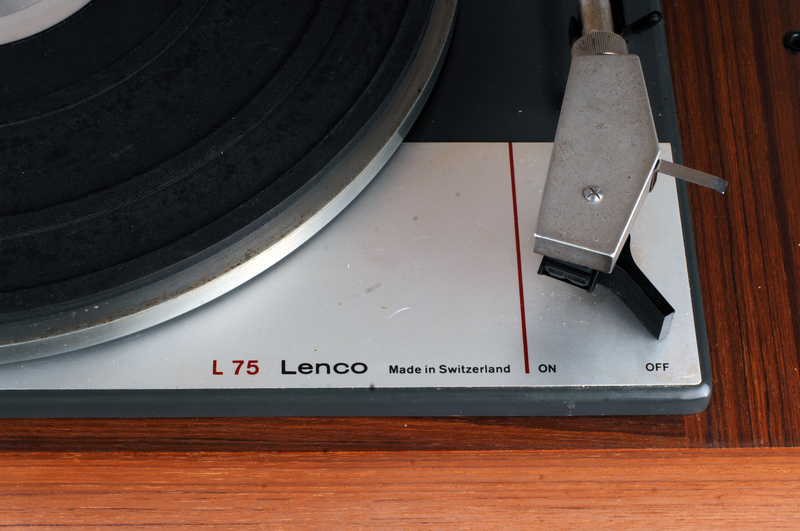 De Lenco L75 is de opvolger van de Lenco L70 en inmiddels een erg geliefde en gezochte platenspeler. Het zware plateau in combinatie met de idler wheel aandrijving staan garant voor een strakke weergave. De arm van de L75 wordt vaak onderschat maar is echt heel erg goed alleen zijn de V blok lagers vaak versleten. Uiteraard worden die vervangen bij een revisie. Optioneel kan deze fantastische draaitafel in een massieve plint worden geleverd. 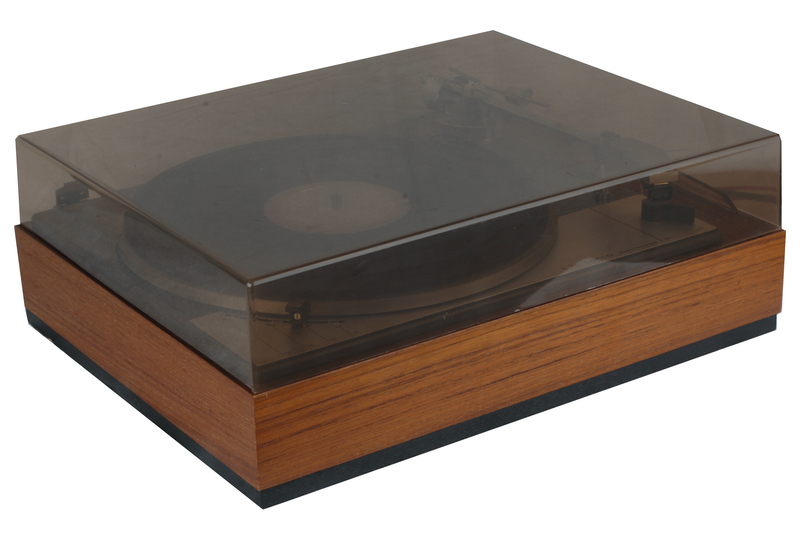 The Lenco L75 record player is a precision instrument of true hifi quality which will satisfy even the most demanding music love. The instrument can be used for stereo as well as monophonic listening. The usual speeds can be pre-set in click stops and the speed can also be varied continuously from 30 to 86rpm. The light tonearm of the L75 is a first class example of fine mechanical precision, and guarantees clear, undistorted sound reproduction, with the greatest possible protection for your records. 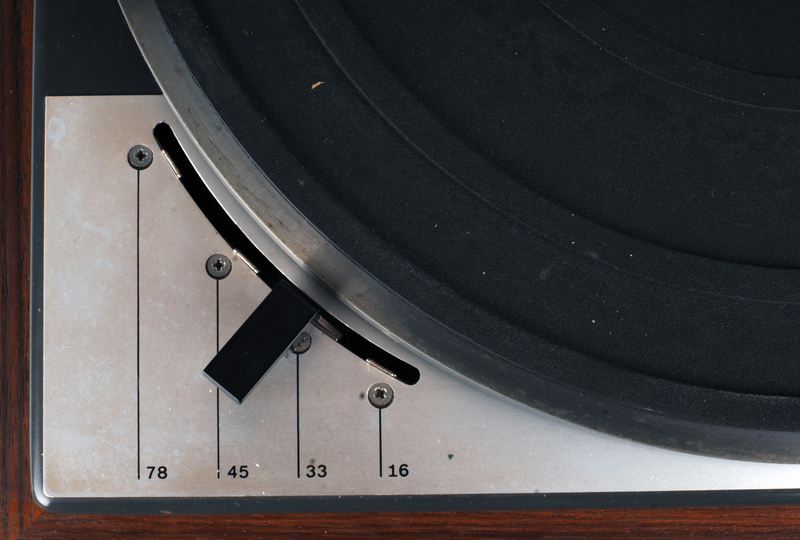 The tonearm is lowered onto the record by a hydraulically damped lowering device, thereby eliminating the possibility of record or needles being damaged whilst putting the tonearm onto the record. The miniature bearings fitted into the tonearm allow for a free sideways movement, and the knife-edge bearing keeps friction to a minimum. An adjustable weight enables one to set stylus pressure exactly to suit the cartridge being used. An automatic brake comes into operation when the turntable is switched off. 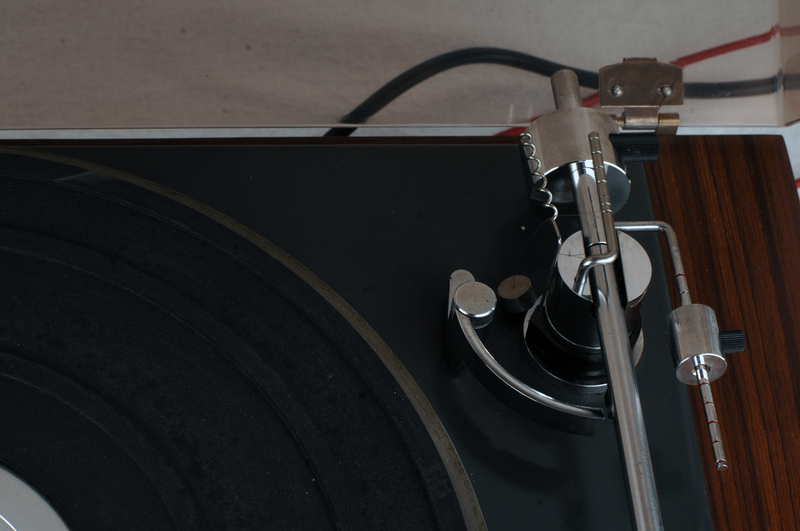 All tonearms can be supplied with an anti-skating device. 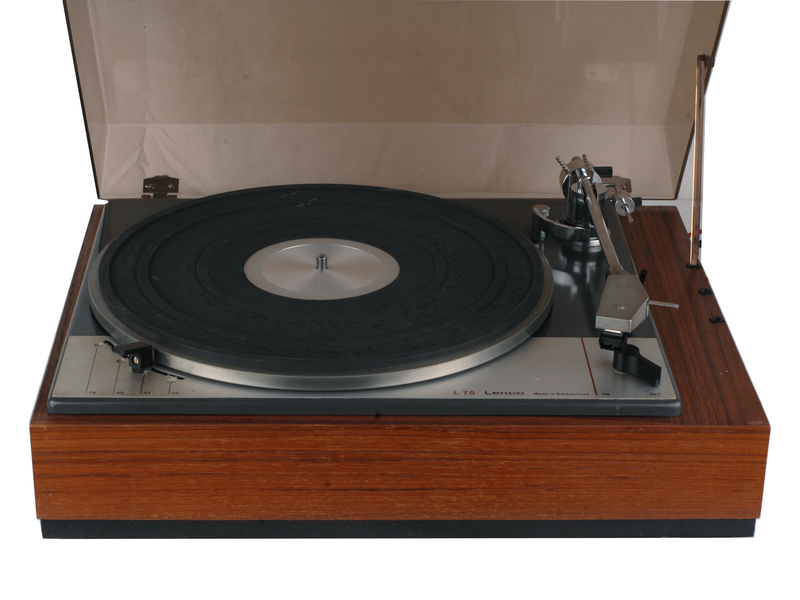 With infinitely adjustable speed between 30/86 rpm and 15/18 rpm via a conical spindle.